Apply sparingly to pulse points. 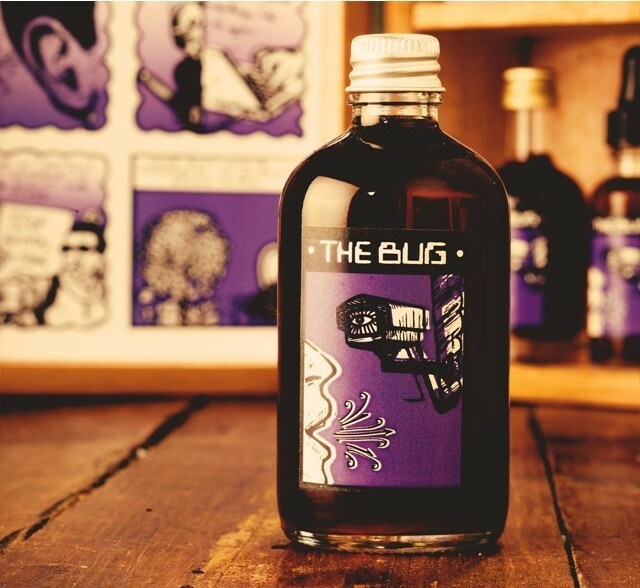 My initial reaction was wow that is strong and quite insect repellent like but within minutes it mellowed a little and although it had a strong green fresh element there was also the very earthy background aroma coming through. 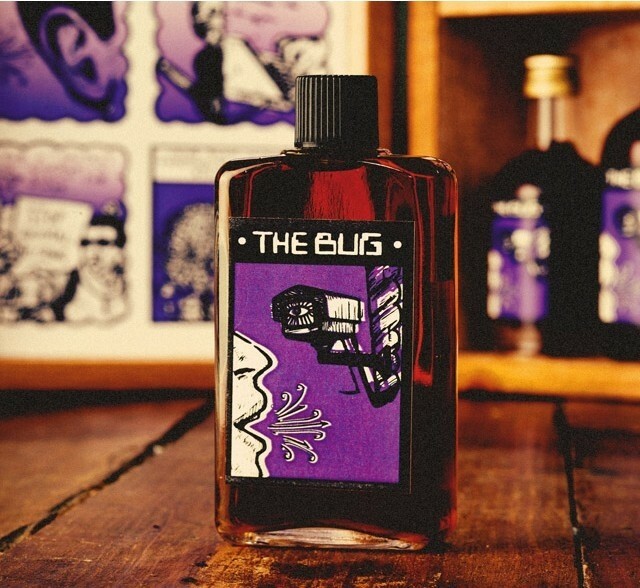 “this one was "Inspired by the paranoia of the modern age (and a track by the same name), this perfume was introduced by walking people through a dark corridor full of clips from cctv footage and glowing uv-lights. The perfume contains galbanum and black pepper." 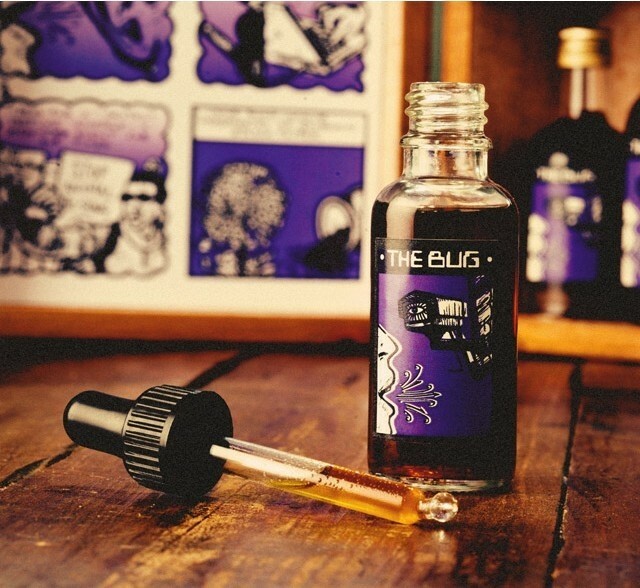 Also inspired by Ashley Judd's movie ‘The Bug’ which is a wacky psychological thriller! 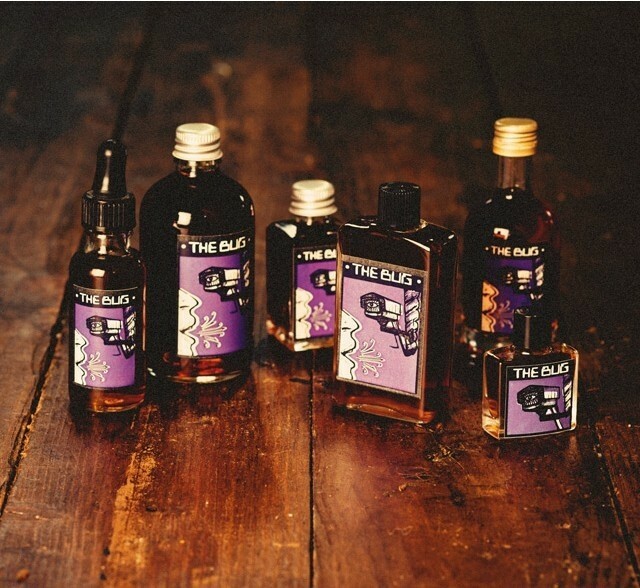 This new range is not presented in the plain black bottles that we are used to in Lush perfumes. These are in clear square bottles and some are round classic bottles depending on the size of the perfume inside. 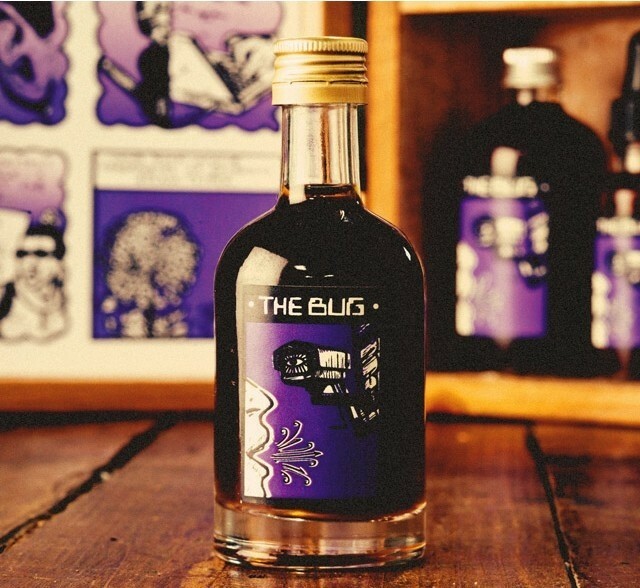 The labels are quite different, this one is mauve purple and black. The main colour is mauve and the surveillance camera or bug is black and white with a mouth in white on the left. 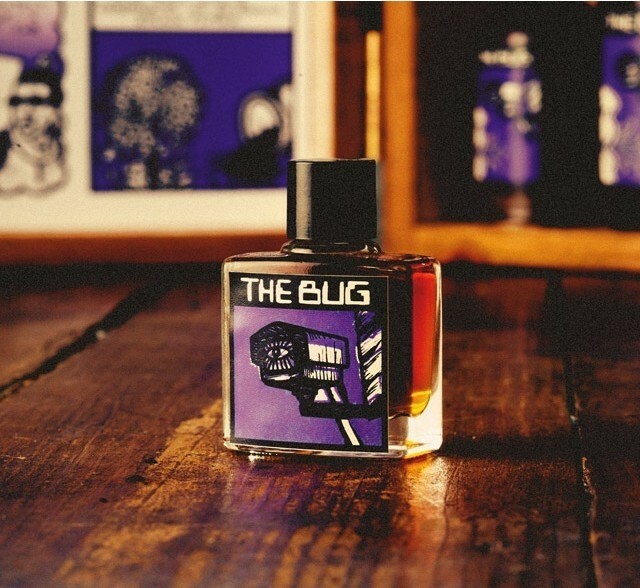 The name of the perfume is in black with ‘THE BUG’ above the picture. It is sort of retro cartoon style with the colours and certainly very different from the plain black ones of the original perfumes. 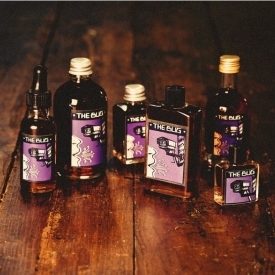 They look a bit like mini liqueur bottles to me. 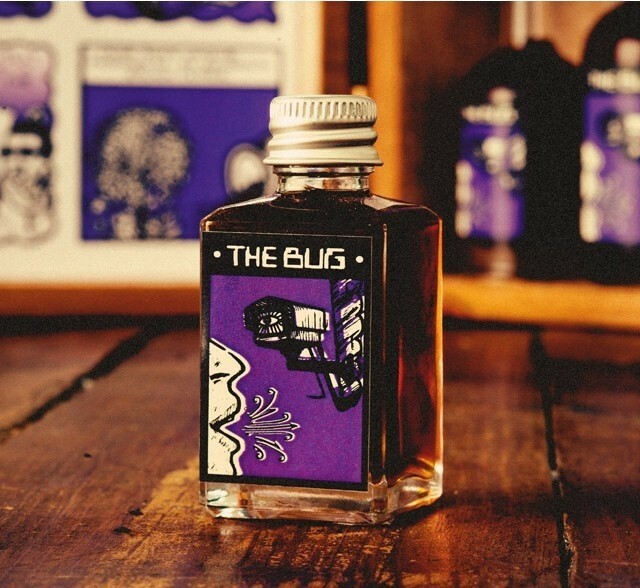 Like all the new perfumes Lush has just brought out bar two which are lighter and more like eau de toilettes, this is a strong powerful scent that lingers for a long, long time.’The Bug’ is one of the stronger ones and initially smelling it in the bottle I was not keen. This is definitely one that needs to be tried on the skin and keep smelling it as it develops and changes as it really is wonderful in my view. The fragrance of Labdanum is very complex. This waxy resin produces a balsam like, woody, earthy, marshy, smoky, ambergrislike, leathery, flowery, honeylike, mintlike fragrance with hints of plum or oakmoss after a rain. Elemi It is a fragrant resin with a sharp pine and lemon-like scent. Galbanum has a wonderful complex green, spicy, woody, balsam like fragrance. I absolutely love this perfume now that I have tried it a few times. It is both woody and also the green balmy notes flirt back and forth with the deeper woody overtones. Initially It hits you like a roaring train with its resinous notes that are almost like an insect repellent but very quickly this becomes softer and ambery. There is also a herbal element to this one but it is dry and just keeps calling me back to sniff again. I find this wonderfully sensual and it changes as you are wearing it and even as I sniff from one time to the next it flits back and forth between dry and woody and aromatically green. 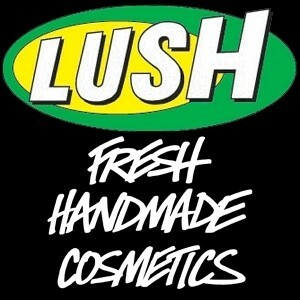 I love the new Lush perfumes. There isn’t one I don’t love but they are not for everyone. My daughter likes fresher lighter scents and most of these are deeper and heavier than she enjoys. The majority of these new perfumes are perfumes rather than eau de toilettes and as such they really last well on both me and my clothes. 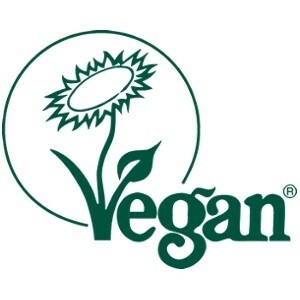 They are oil based with lots of essential oils and as such have great lasting quality and sillage as well. They also need to be worn on the skin to test them. Sniffing the bottle does not do the trick and even putting them on carboard is not the same as they develop on you and change according to your skin chemistry it seems as they smell different on different people. There are five sizes available but save up as this is not a cheap perfume as it contains expensive oils. The smallest size is 7g for £14, then £27.50 for 25g or 28g ( not sure what the difference is here but one might come with a dropper. 43G with cost you £37.50 and 46g for £40 but if you are really lucky and can afford this then the 92g costs £65. I am rather hoping for the small bottle for Christmas as I have now tested it at least six times and have truly fallen for this one. Everyone has commented on how nice it smells on me when I have worn it and so many complemented me that I know it has great lasting quality and sillage too. It lasted on my scarf for well over a week and still smelled lovely whenever I wore it. I was reluctant to wash it as I enjoyed the smell whenever I put it on to go out! If you are near a Lush shop and you are a fan then i urge you to go in and try theri new perfumes. Put some on then go and walk around before you start to sniff the perfume on you. That way it has a chance to develop and you are not trying to pick the scent from everything else in Lush. Wear it for a day and you will see it becomes softly powdery and almost floral at the end where it starts very dry, woody and also has the green element that flirts in and out. It is such a wonderful perfume with deep notes and lots of character. I love it. In summary , odd to start with but becomes really floral and creamy powdery after about twelve hours of wearing having gone through several changes. "My initial reaction was wow that is strong and quite insect repellent like but within minutes it mellowed a little and although it had a..."